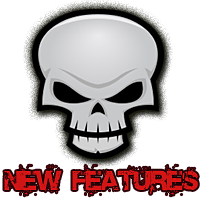 I have been killing myself trying to bring you new features. Slaving, laboring, contemplating and eventually completing new cool code to bring you closer to your fellow geeky friends. Why do I do this? Why do I put forth so much effort? For that twinkle in your eye my friend, that twinkle. The Extraterrestrial creature has arrived in Dragons World! "Extraterrestrial Dragons inhabit unexplored forests on distant planets. But they've adapted quite well to the shady forests on the Flying Islands, which now serve them as a home away from home." 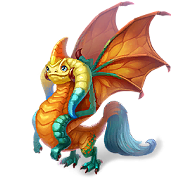 The Effulgent dragon has arrived in DragonsWorld! 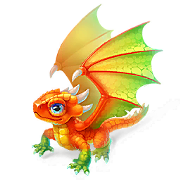 Enormous powerful wings let the Effulgent Dragon fly using the energy of rising air currents. This saves considerable strength, enabling the Effulgent Dragon to cover fantastic distances beyond the reach of others. The Battle dragon has slayed his way into DragonsWorld! The Battle Dragon’s armor is so solid that it’s practically impossible to harm it. And its sharp teeth and the huge claws on its wings make it a veritable terror of the sky! 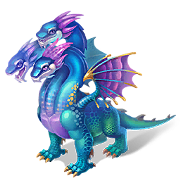 The Hydra dragon has splashed into DragonsWorld! Three-headed Hydra - not the most maneuverable dragon in the air, but it is a dangerous predator on the ground! After all, Hydra not only possesses long claws and a spiked tail, but also has three sets of razor-sharp teeth. 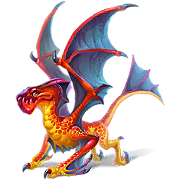 The Gargoyle dragon has arrived in DragonsWorld! Gargoyle - very ancient sub specie of dragons. They always lived near people, preferring to settle in abandoned parts of temples and monasteries. Even now, nobody knows which of the Gargoyles decorating buildings were made of stone, and what - alive. 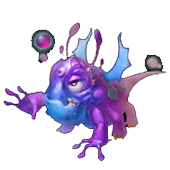 The Crystal II dragon has glicened into DragonsWorld! 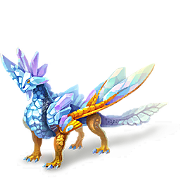 The Crystal Dragon is the distant relative of another type of dragon - the Diamond Dragon. They differ in the color of their scales and horns, and their native elements. The Salamander dragon has slithered into DragonsWorld! 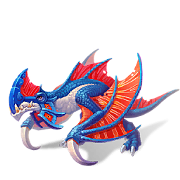 The Salamander Dragon isn't the biggest, but don't think it's weak because of its size. This dragon has a secret that might suprise a careless scientist who is too curious. 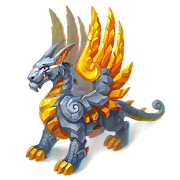 The Volcano dragon has arrived in DragonsWorld! 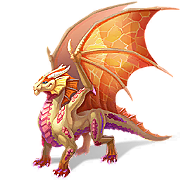 Despite its refined composition, the Volcano Dragon is impressively fire-resistant and has incredible agility. Its loves to romp in volcanic craters, flying between the jets of hot lava. The Claw dragon has crawled into DragonsWorld! The Claw Dragon has a highly complex skeletal structure. An extra pair of limbs helps it better climb vertical surfaces: cliffs, giant trees, and the walls of ancient buildings.